Most people have heard of Postpartum Depression, in fact it has become widely recognized and accepted. 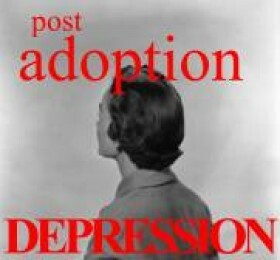 Unfortunately the same can't be said for Post Adoption Depression (PADS), similar to PPD, or the "Baby Blues". A survey of 145 parents who adopted internationally found that over 65% of them have experienced some form of PADS. 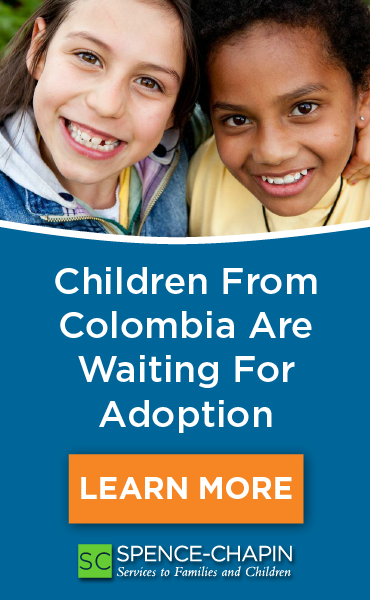 While this specific survey was conducted with only adoptive families who adopted internationally, PADS is not only an international adoption problem. PADS effects many families whether they adopted domestically or through a foreign program. 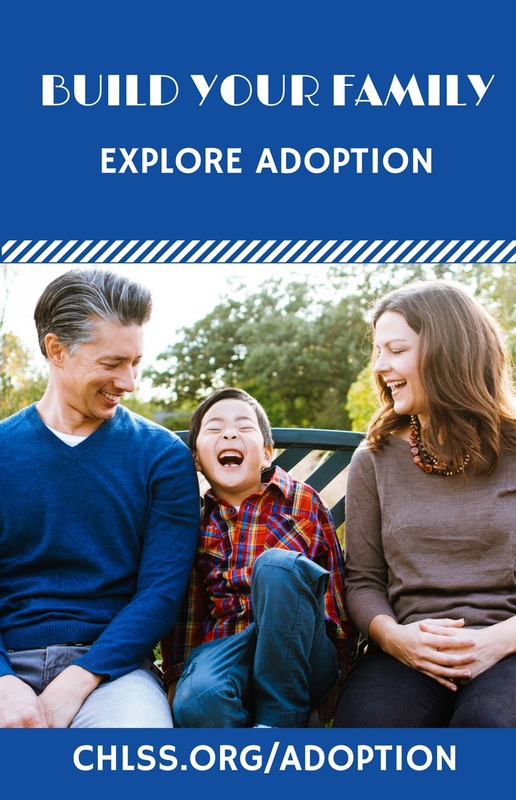 Adoptive parents have usually spent years struggling with infertility and then the rigorous adoption process. Throughout that time many adoptive parents dream and anticipate what parenting will be like. When the reality doesn't match their hopes and dreams, feelings of grief, anger and confusion can occur. This is normal! Adoptive parents have just attained the child they may have been waiting years for. They have been riding the emotional high of this adoption for a long time. Now that its complete, feeling "let down" or an emotional crash are very common. Think of it like any big event that requires a lot of planning, a wedding for example. You plan sometimes for a year and then after the wedding comes and goes there is nothing more to plan. The dream is fulfilled and many people become anxious or "down". The same feelings can be experienced post adoption. A big problem is the acknowledgement of PADS. Many adoptive parents, particularly adoptive mothers, may have these feelings and try to ignore them and "tough it out". They may experience feelings of guilt because they aren't elated and thrilled now their dreams of adopting a child have come true. Some adoptive parents feel guilty because they don't feel that "instant" connection or bonding that they believe a birth parent would have with their child. This may lead to feelings of frustration, anger and confusion. What adoptive parents must realize is that bonding with a child is a growing process. It usually doesn't happen instantly, parents and children both have to get used to each other and get to know each other. This is why it is so important to schedule time off during the first few weeks after the child is brought home. Spending time together is what builds that bond. It is also important that adoptive parents talk about their feelings. Many adoptive parents don't want to talk to their adoption social worker for fear of seeming unfit. After all, they just spent a long time "convincing" their social workers and others of their superior parenting skills, wouldn't they look like a failure if they admitted these feelings? The answer is no. All new parents need support and help and some need professional help adjusting to this life-changing event. Most parents understand that when they bring a child into their home their life is going to change, but most do not understand the scope of the change until it actually happens. Adoptive parents in particular may feel the need to be the "super parent" because they asked for this and worked hard to achieve it! What adoptive parents need to realize is that parents who have biological children are not expected to: return to work immediately, keep a neat orderly home, prepare gourmet meals and maintain a perfect appearance at all times, and neither should adoptive parents. Realize that the main focus in the first few weeks is to bond with the child and everything else is secondary. New adoptive parents can prepare and freeze meals ahead of time so they don't have think about that during their attachment period, hire a cleaning service, do whatever is needed to help free up time and relax and focus on bonding with the child. If things become overwhelming, which they sometimes will, they can hire a baby sitter, take a walk, spend some alone, time with a spouse, or take a bath. Adoptive parents need to take care of themselves as well as their child. When parents take care of themselves they are taking care of their child by providing them with a healthy capable parent. Preparing for the feelings and emotions of new parenthood will help families survive it. Asking for help does not make adoptive parents failures, it makes them human. Adoptive parents could experience frustrations, surprises, and setbacks with their new child. Celebrate if there aren't any. Before adoptive parents bring home their child they should take parenting classes, read up on attachment issues and join an adoption support group. All of these help bring more confidence to new parents and allow them to relax. Most importantly they should remember to arrange for time to adjust to the new status as parents. Bringing a child home is the highlight of one?s life. Relax and take some time to enjoy it! First printed in Adoptions from the Heart Newsletter, Summer 2003,http://www.adoptionsfromtheheart.org>Used with Permission.